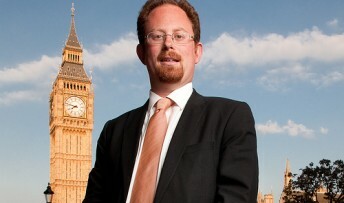 MP Julian Huppert joined a cross-party group of MPs yesterday (Wednesday, November 6) to call for greater protection against nuisance phone calls. Julian and his fellow MPs presented a Bill to Parliament which would allow telephone customers to see the number of a non-domestic caller so that they could choose to ignore the call. The Bill, presented under a House of Commons 10 Minute Rule motion, states that telephone companies would have to provide the service free of charge. It comes after the All-party Parliamentary Group on Nuisance Calls published a report last week with 16 recommendations including implementing caller identification in a bid to solve the problem. MPs were told that BT received 50,000 calls in one month to its nuisance call bureau, yet only a fraction of that number of complaints was made formally to industry regulator Ofcom or the Information Commissioner’s Office. Julian said: “Nuisance calls are at best annoying and disruptive but at worst they can result in vulnerable people being persuaded to buy goods and services they neither want nor need. “We have all been subject to these unwanted calls from marketing companies and other organisations who have got hold of our data. This Bill would give telephone customers some protection by identifying the caller and giving them the choice as to whether they respond to the call. The Bill is due for its Second Reading on Friday, February 28, 2014.